This is a sort of "overgrown cornet", and is the first of the larger instruments in the band. Again, in the key of Bb, the flugel produces a slightly richer, darker sound than a cornet, similar to that of a tenor horn. The flugel occasionally pops up in all sorts of bands and orchestras - even in jazz bands! The Tenor Horn is a sort of "middle of the band" instrument, and produces quite a unique sound. 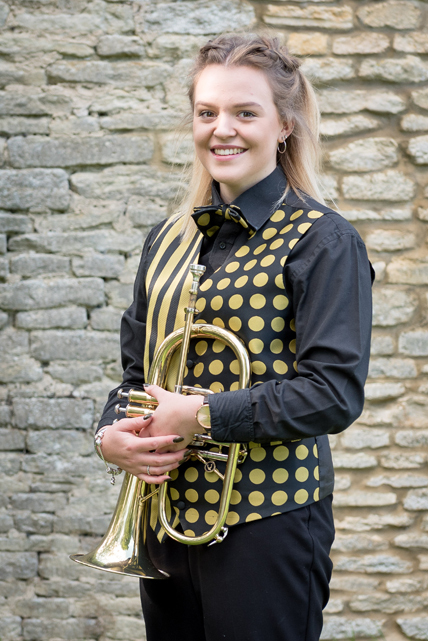 In the key of Eb, like all the larger valve instruments below it, it is played in a vertical position, unlike the cornet & flugel's horizontal position. Tenor horns are a favourite with some composers, with the solo - or principal - horn often playing solos. 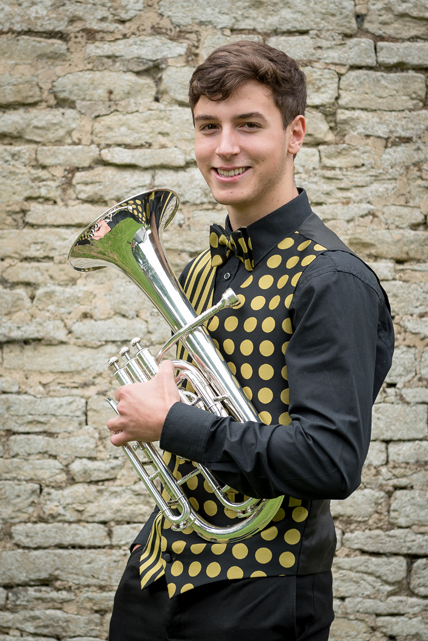 There are normally three tenor horns in a brass band, our band currently has five, but some youth bands have more. Tenor horns are peculiar to brass bands, and are not used anywhere else.